All Montpelier homes currently listed for sale in Montpelier as of 04/24/2019 are shown below. You can change the search criteria at any time by pressing the 'Change Search' button below. If you have any questions or you would like more information about any Montpelier homes for sale or other Montpelier real estate, please contact us and one of our knowledgeable Montpelier REALTORS® would be pleased to assist you. 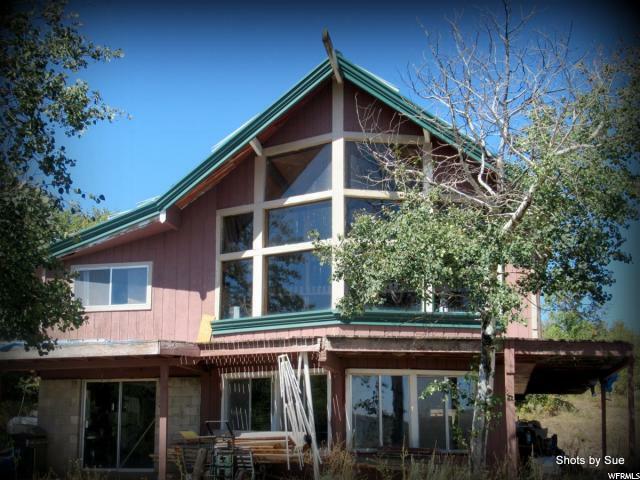 "Ranch opportunity in beautiful Bear Lake. 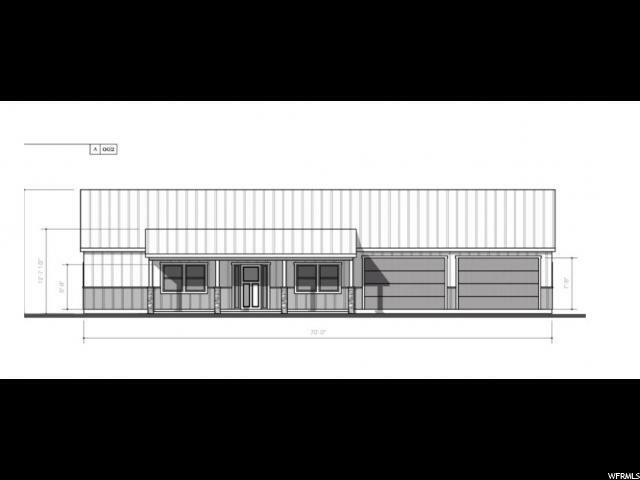 2 detached shop/garages totaling over 4,000 sq feet of enclosed space. Barns are prefect for calving. Water water water! This property has more water than could be used in a season including a couple natural ponds. Property is fully fenced into 13 different pastures with water running to all of them. Run cattle year round off the pasture or cut crops. Currently been used as a dry farm could be pressurized and get more crops per year. Seller will also sell the property and maintain a lease of the ground. Call listing agent for full detail sheet, maps, and more information. " "200K price reduction!! This ranch has it all. Amazing 3 bed 2.5 bath log home built in 2014 all on one level. Attached double car garage and lots of storage. Large master bedroom with walk in shower in master bath. Home is on city water and septic system. The ranch has a mixture of irrigated farm ground and sub irrigated pasture. Approx 50+ acres is under the pivot and approx 30+ acres that can be watered from wheel lines. 45 shares of Montpelier Irrigation. Buried main lines to the pivot and wheel lines with electric pump included. The ranch also includes a horse barn, shop, Quonset and some corrals. For more info and to schedule your showings contact the listing agent. " "Beautiful Custom Built home on 9 AC. In the Bennington Id area. Beautiful views of the Mountains all around. Watch the sun set over the West mountains from your front yard, and Sit on your decks in the mornings enjoying the early morning sun rises. This place has it all. Walk in to your open floor plan home with custom rock fireplace. Music area and a den with windows all around for great lighting. Kitchen with a large island seats 8. Large area for a huge formal dining table. All Alder finishes, Custom quartz counter tops throughout the home. Stone sink in the island. Huge double sized fridge/ freezer combo. Double wall ovens. large pantry. Must see to believe. Huge Master with access to the back patio. Gas fireplace and large master bath with separate shower, walk in closets. Solid wood doors and Custom Railings. Upstairs has an open balcony that overlooks the main floor. Master bedroom on that level also, with large walk in closet. Hidden room for a nice family room or Man cave. Basement has a massive game room/Family room with storage rooms and bonus/Sewing/Dens. Walkout basement area. Exciting for you gun enthusiasts or collectors a must see Large vaulted room to keep your valuables, complete with historic bank vault door. 6 bay over sized garage, with generator back up system. RV plug in. There is so much here to offer that words can not explain. You must see for yourself, but the best thing is an unobstructed views of both the mountain ranges and the sunsets! " 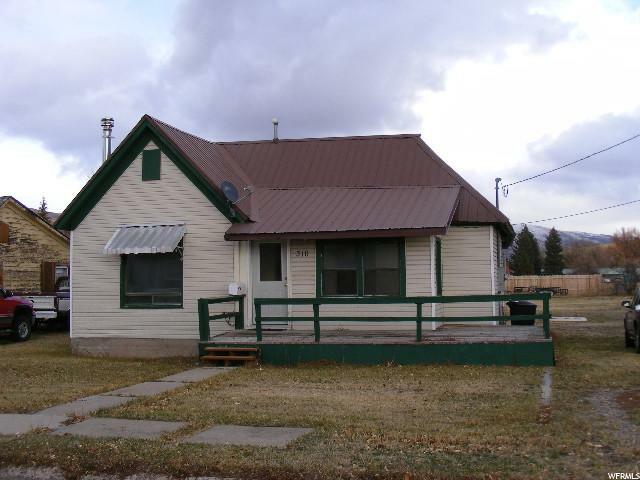 "What a neat location and set up this little home and ranch combination are!! Close year around access to Highway 36 yet with isolation and privacy that you could only dream about. 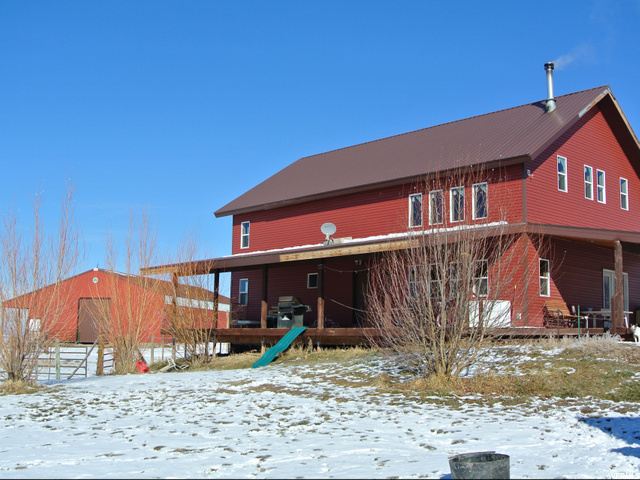 The home has had many upgrades, comes with a double car garage, big barn and other outbuildings and best of all 70 irrigated farmable acres, great for pasture or a nice grass hay crop. With the access and other utility amenities and county services available, the property is conducive to allowing other homes to be built with small acreage requirements, making it a great long term investment. A 400 foot well has been drilled and cased for future use. Current culinary is from fresh mountain spring. 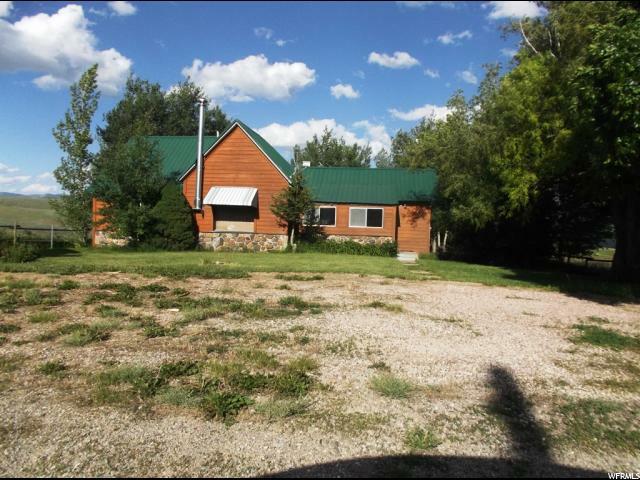 See MLS # 1466671 for parallel listing under land. Home comes partially furnished. Price is firm. Land size and home sq ft based on county records. Buyer to verify. Check this one out!" "SWEETEST PACKAGE IN TOWN! 5 bedroom home with 2 car garage on 4.52 acres, irrigation shares, and it is in the large animal district!!! Don't miss out. The home is surrounded by Austrian Pine and Russian Olive trees. Formal living room. Dining room has sliding glass doors opening to a enclosed deck. BBQ even in the worst of weather. Or step down to a covered patio to prepare a perfect afternoon/evening meal. Kitchen has been upgraded with granite counter tops and new wood floor. There is a room at the bottom the stairs that has been plumbed if you wanted to add a small kitchen. Gas line is to that room if you prefer to change out the wood burning stove for a gas log fireplace or stove. Spacious family room downstairs has a gas log fireplace. Laundry room doubles as a nice bathroom with shower and lots of shelving for storage. There is a small cool storage room for potatoes, onions and carrots and more. New windows throughout the house. Newer Vinyl siding. And new roof within the past 10 years. The acreage has been used as pasture and cut for hay. Cross fenced for maximization. Call listing agent today for an appointment! " "Priced at $82 per sqft!! Take a look at this 5 bed 3 bath home just north of Montpelier City limits. 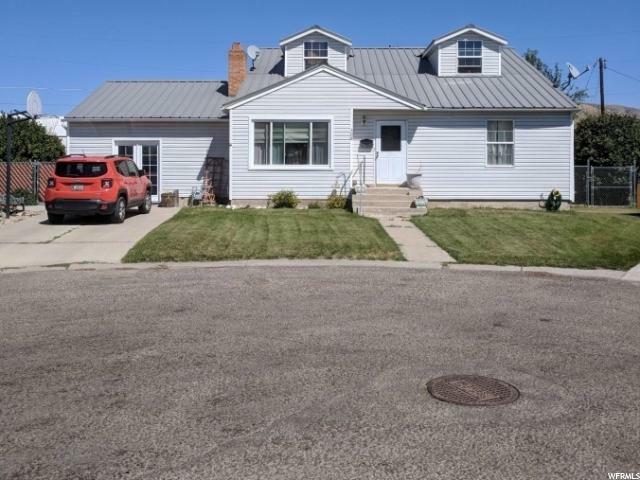 Home sits on over 5 acres with a large detached garage/shop. Large family room on each level with an open floor plan. Walk out basement with lots of storage. 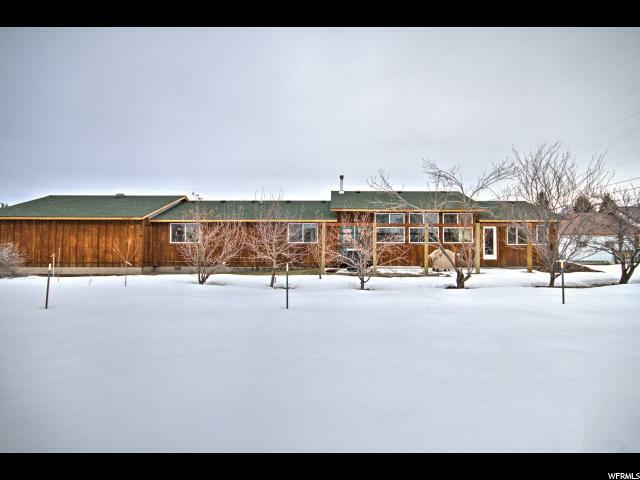 Great location with amazing views overlooking the Bear Lake Valley. Just minutes from national forest or town. 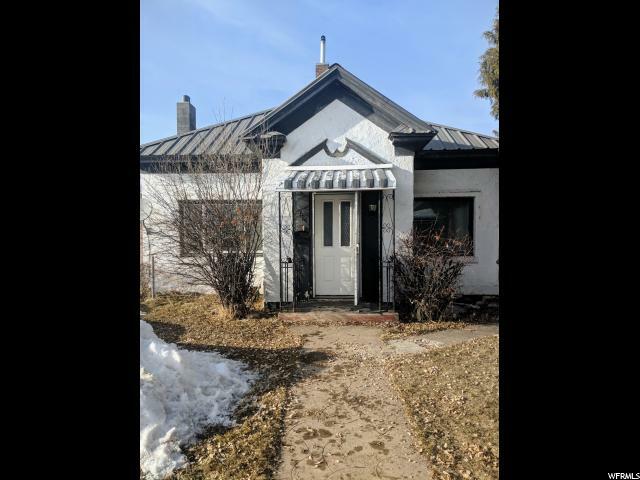 Contact the listing agent for more info "
"One level, energy efficient home built in 2017 with 3 beds, 2 baths, beautiful great room with a cook lover's kitchen located on a dead-end street, in-floor radiant heat with gas boiler and on demand water heater, 2 car attached garage PLUS 24x30 heated shop PLUS 30x30 RV garage and other outbuildings. Enclosed parking for 5 vehicles, covered parking, outside parking for 10. Plenty of room for all your toys or equipment. 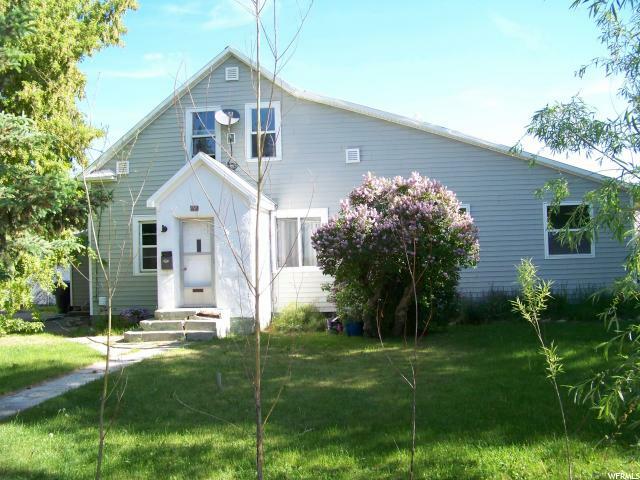 Yard has in-ground greenhouse, large garden area, mature fruit trees and raspberry bushes. Animals are allowed. 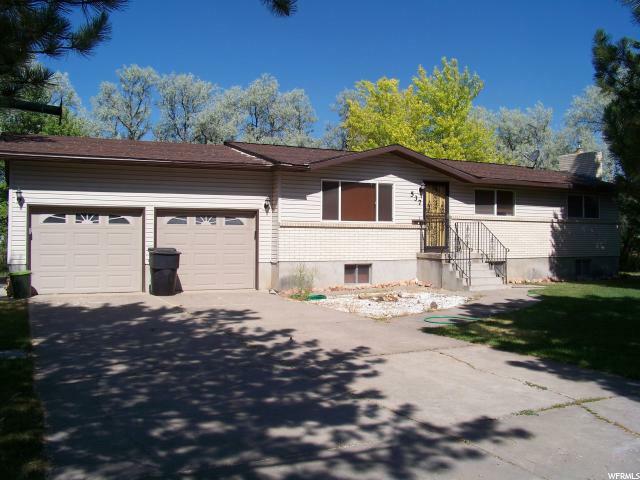 Conveniently located in Montpelier close to parks, schools, stores and hospital. Just 20 minutes to Bear Lake or Forests with hundreds of miles of mountain trails, outdoor recreation galore!" "Beautiful Huge home with rustic features. Open concept kitchen with large island. Large Master bedroom with master bath. Loft area with bedroom and open entertainment area. Formal living room with wood fireplace. 3 bedrooms on the main level. Walk in tub in the main bathroom. 3 bedrooms in the basement. Egress windows in basement 2 large living areas in the basement. If you are looking for a lot of room this is the house for you. Quiet cul-de-sac. Home has been plumbed for propane back up heat. " "Large single level home in a great neighborhood. Open 3 bed 2 bath home with office or 4th bedroom. Vaulted ceilings and lots of windows in the home. 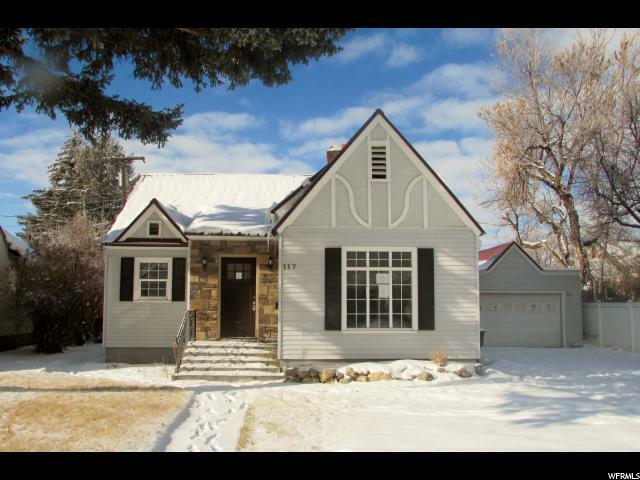 Attached 2 car over sized garage with large detached shop included. Located close to schools and golf course. Spacious .73 acre lot with several mature pine trees. Make your appointment today. 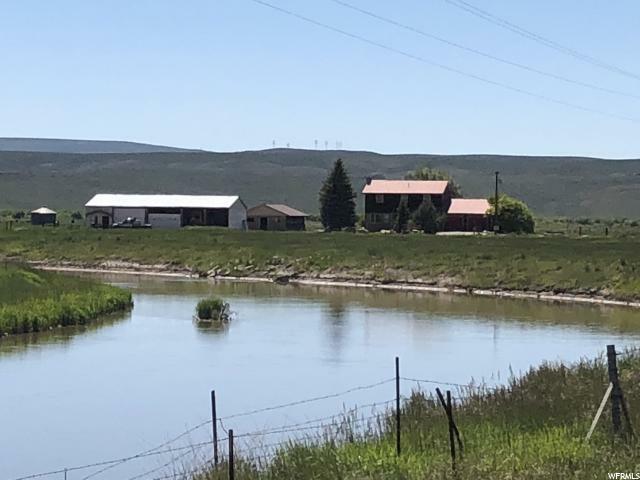 Contact listing agent for more info "
"Located between Cokeville, WY and Montpelier, ID, this home on 5+ acres allows for livestock or just nice country living. Includes 2040 sq. ft. pole building and a 24' x 24' storage building. An additional 37.10 acres of quarry is available for sale, for a great income producing option." "5 bed 2 bath home located on a quiet street. Close to schools and shopping. Fully fenced yard with mature trees for added privacy. Wood floors throughout main level! Large storage room in basement. Very well maintained! Don't let this one slip by! Call today for more information. " "Addition to this house is complete with master bedroom, master bath with tub and shower, Laundry room, and bonus room. Lots of natural light! This home is on a small side street. Has a very private back yard and mature shade trees. There is also a 3rd room upstairs that can be finished. Come and take a look. This home has a lot of potential! Front steps will be repaired before closing. AND PRICE REDUCED to $165,000! WOW "
"Sweet wooden cabin hidden in a forest of pines. Very private. Electricity, well and septic. Metal roof and large front deck. older cabin but in great shape. Gated and fenced. Close to National Forest with many recreational roads. Year round spring and pond on property. Excellent access." "Will look at offers! Come look at this amazing 4 bed 2 bath home. The home sits on just over 3rd of an acre with a large 2 door shop. . The kitchen has been updated with newer cabinets and has large dining room area. All of the kitchen appliances are included along with a pellet stove. Lots of storage in the unfinished basement. Close to hospital and schools. Make your appointment today." "Stunning 3 bed 2 bath single level home. Homes sites on a large .31 ac corner lot. New privacy fence being installed. Lots of updates. New flooring in the living room and kitchen. Open kitchen with lots of cabinet and counter-top space with dining area. Home has vaulted ceilings and beautiful Quaking Aspen trim. Master bedroom with double closets and huge master bathroom with his and her sinks, walk-in shower and soaker tub. Contact listing agent to schedule your showings"
"Back on the market, reduced price. 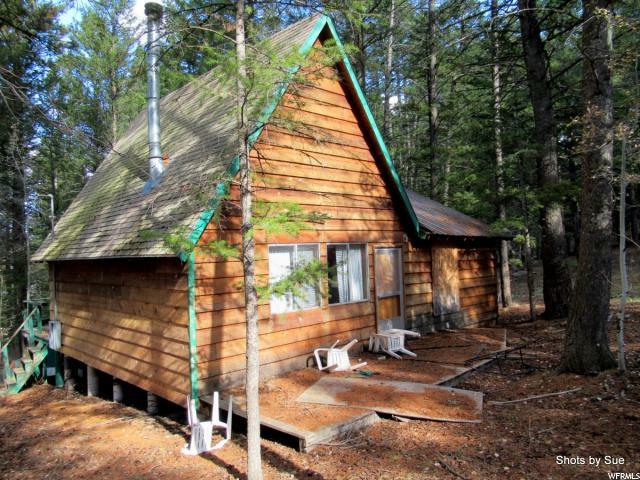 Beautiful 38 acre recreational lot and cabin among Pines and Quaking aspen. Deep well, septic system. Wired for electric VIA generator. Great access during summer, no winter access except snowmobiles. Large cabin with huge windows facing south. 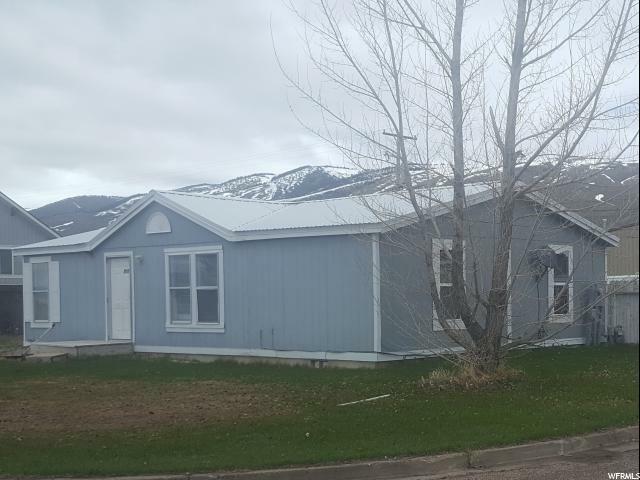 Views on Bear Lake Valley and mountains"
"This is a darling, virtually brand new home less than 4 years ago. Stripped down to the studs and completely rebuilt entirely on the inside. It has all new plumbing and electrical. Lots and lots of insulation for energy efficiency. Brand new natural gas furnace in 2015. Elegant upgrades, from custom concrete counter tops in the bathrooms and kitchen, to tile and hardwood floors through the entire upstairs! You must see this to appreciate it. Very conveniently located near the library, middle school, elementary school and close to the main shopping district in downtown. Contact agent today for showing. Buyer to verify sq. ft. with county." "What a great opportunity awaits for you here! This large classic style home is ready for you to make memories in. You will love the spacious kitchen, formal dining room, living room with fireplace, loft, and old world craftsmanship. This home also offers double pane windows and a brand new high efficiency hot water heater and furnace. And if you like to tinker there is a large heated garage. House was built prior to 1978 and may contain lead based paint. This property may qualify for Seller Financing (Vendee)." "Well cared for home will have new carpet in the living room and master bedroom. Updated kitchen 5 years ago with new appliances. Carpet down the stairs and in the basement is 2 years old. Basement has egress window. Wood burning Fireplace in the dining room. Firepit in the back yard. Alley access and complete drive through from the alley to the front of the house. Mature trees and a crab apple tree. Dead end street with minimum traffic. Covered patio from the dining room. Covered front patio. New covered deck the full length on back of the house and BBQ grill included in the sale. Seller is keeping the propane tank. This is a very comfortable home. " 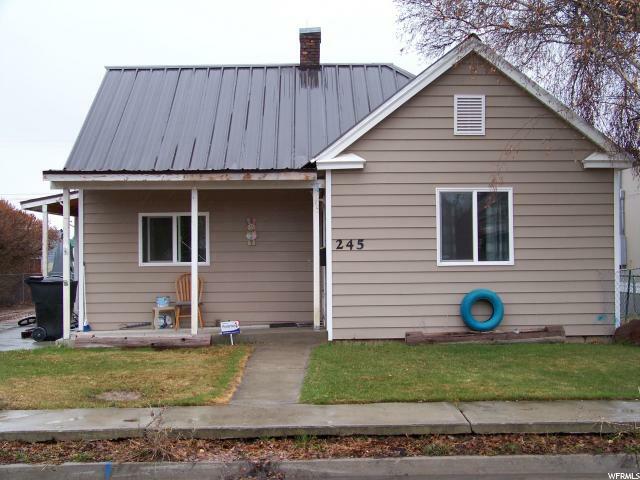 "This cute starter home with a new metal roof is on a large corner lot in North Park Estates. Fully fenced back yard with plenty of room for parking. Has large master suite plus another full bath. Lot is large enough to add a garage with room for toys. " "You get it all with this charming bungalow. New updates throughout without sacrificing it's 1920's charm. This very spacious 3bed 2bath home is located in a great neighborhood within walking distance to schools, library, and shopping. New water heater and furnace installed in 2017 and barley used since. New face lift to mudroom , sun room, and stairwell done December 2018. Large living room and dinging room space with adorable archway into the kitchen. Kitchen still has the original cabinets with the adorable detailed shelves, lots of space, and storage. Two bedrooms and large bathroom with double vanity upstairs. Fully finished basement with one bedroom, 3/4 bathroom, storage room, bonus/family room, and laundry room. Home comes with lots of parking including detached garage. Big fully fenced backyard with covered patio. This home will not last long at this price in this market! Call to schedule a showing today!!" "New UNFINISHED PRICE!! Home is sold in AS IS condition Unfinished! Appliances included, Most light fixtures included. Plumbing rough in half paid for. Support and Framing finished. All utilities to the home are paid for. Power and gas installed. Bathroom vanities with granite tops included. All steel siding to finish included. Windows and Exterior doors included except garage doors. Bathroom fans. *** Prices will be subject to change as more work is completed. ***"
"Animals allowed on property. Renters currently occupying the premises. Lots of spacious room. 2 rooms in the basement that are finished with carpet and wall coverings. Not sure if they would be counted as bedrooms because of egress/ingress. " 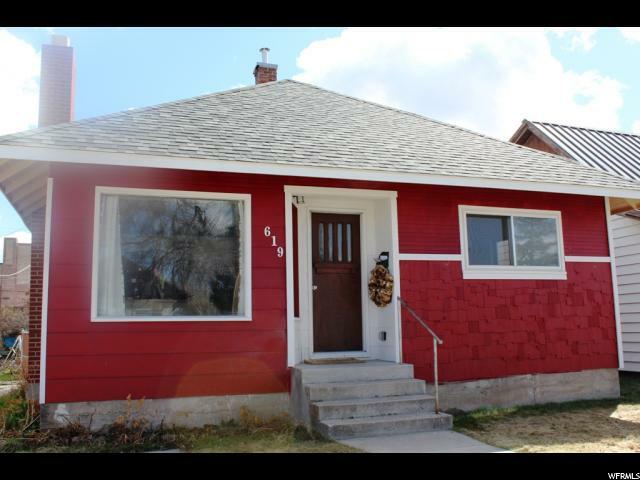 "Updated 2 bed 1 bath home on large city lot. 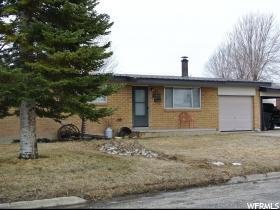 Single level home with newer flooring, furnace, water heater and kitchen appliances. Open living room with gas stove and large kitchen. Contact listing agent for more info and to schedule you showings "